The multinational fashion logistics specialist expects to begin operations in France and Sweden in 2018. Last September Logisfashion landed in Germany, in Meckenheim near Cologne with a 10,000 ㎡ centre aimed principally at strengthening its e-commerce logistics service and supporting the internationalisation of its clients in Europe. However, Germany isn’t the only European destination that the Spanish multinational is looking at setting up in. Logisfashion anticipates establishing itself in such important European markets as France and Sweden, being due to open in Lyon in June and Jönkóping in July of this year. 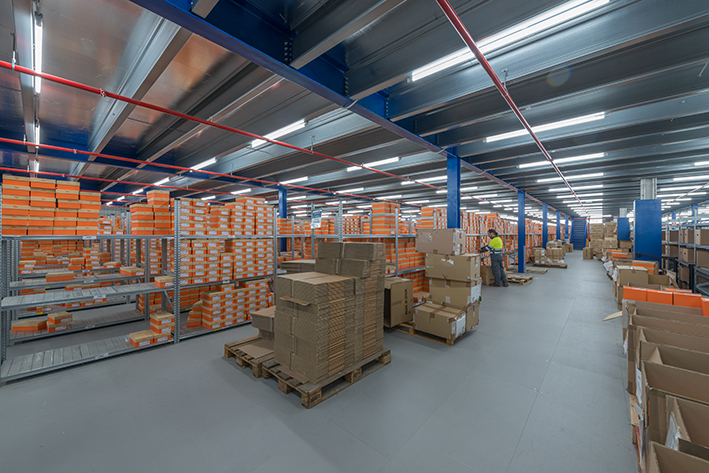 This ambitious business strategy will create a web of warehouses in Europe over the next two years, including countries like the United Kingdom and Poland by 2019. In recent years Logisfashion has continued to grow and in 2017 the group had a turnover of 30 million euros with the e-commerce division representing 50% of global turnover. As for the European division, the forecast for 2018 is for a 25-million-euro turnover, with e-commerce solutions making up 55%, demonstrating both its importance and the growing trend in the region. The group has declared its ambition to reach a turnover of 50 million euros by 2020. Since 1996 Logisfashion is the premier logistics operator specialising in the fashion industry and represents the best choice for supply chain outsourcing, retail and e-commerce at the international level. Logisfashion provides its clients with a network of fulfilment centres equipped with cutting-edge technology and strategically placed on each continent; Europe (Spain and Germany), America (Mexico, Panama, Colombia, Chile and the USA) and Asia (China and Hong Kong).